Dr Suresh Kumar started his career in Coimbatore, in a Textile Machinery Manufacturing company, after which he joined PSG-Science & Technology Entrepreneurial Park (PSG-STEP) – The Technology Busines Incubator (TBI) associated with PSG College of Technology, Coimbatore, India with the foucs to support start-ups in the areas of informtion technology, electronics and mechanical. He has been a part of establishing the incubation facility and building its brand to the stakeholders of entrepreneurship in the institute and in the region. For about two decades, he has been responsible for managing the incubation facility, handholding start-ups, implementing the innovation fund, managing the seed fund support system, coordinating the Outreach Centre activities for promoting innovations and identifying & executing the consulting assignments. 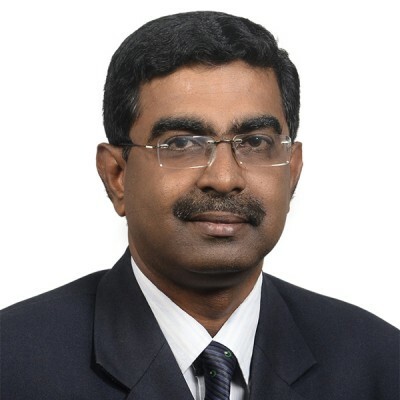 Suresh Kumar is the elected president of Indian STEPs and Business Incubators Association (ISBA) and also handles the Secretariat of Asia Pacific Incubation Network (APIN) – an initiative supported by infoDev, World Bank & Department of Science & Technology, Government of India. Under APIN, he organizes capacity building programms and workshops for the business incubation managers across the asia pacific region. He is certified as Business Incubaton Trainer by infoDev, The World Bank Group and a mentor in the National Entrepreneurship Network (NEN). He had participated in various international programs/workshops held in various coutries. Suresh Kumar holds a engineering degree in Mechanical and a PhD in Management.